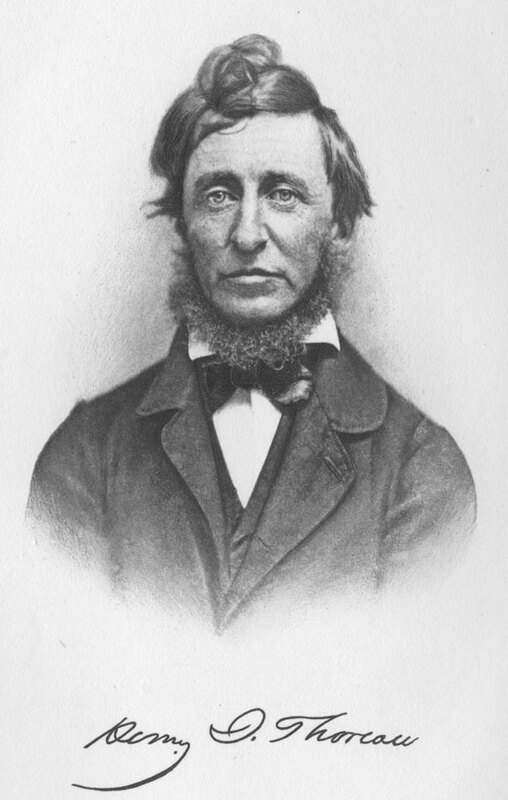 Should Memorial Day include Commemoration of Thoreau? Memorial Day began as a commemoration for the dead in the US Civil War, and especially for the Northern dead. Southern states for the most part had their own days of mourning for Confederate dead (some still do). Only after World War I when the day was repurposed as a commemoration of the soldiers killed in all American wars was it gradually adopted by all the states; ultimately it became the subject of Federal legislation. In its original incarnation as a product of the Civil War, Memorial Day was divisive and triumphalist, a Northern institution. If it were more widely remembered that the day began with this focus, we might be less enthusiastic about it today. After all, we have mixed feeling about having fallen into civil war in the first place. Perhaps repurposing is central to our commemorations today. Progressives have long been uncomfortable with the idea of a day dedicated to soldiers killed in the nation’s wars. Conflicts like James K. Polk’s Mexican War, William McKinley’s Spanish-American War, Teddy Roosevelt’s Philippines War, Lyndon Johnson’s Vietnam War, and George W. Bush’s Iraq War were wars of aggression, seeking territory or resources or both. No one would want to exalt these seedy episodes in American history, however much we regret the soldiers’ lives expended. Thoreau was saying that in times of an unjust law and an unjust war, honorable persons will likely be in jail. While the American soldiers who have died in the nation’s wars deserve to be memorialized, not all the wars they fought in do. A wise nation would barbecue with a sense of unease today, a sense of regret at all the unnecessary and merely greedy wars the nation has fought.